Diplomatic relations between Russia and the Western nations are at a particularly low ebb at present, the worst in many years. It, therefore, comes as no surprise to HX followers that MB has made a recent trip to the heart of the Russia to try to mend some fences. And when one travels to the capital city, one knows that fence-mending doesn’t happen in ornate cathedrals, hotels or fancy metro stations. No Siree. If fence-mending is your game, then there is only one location in Moscow to head for. MB received word prior to travel that Vlad Putin was busy and was unlikely to get a chance to press the flesh with MB. MB took the news on the chin as one would expect, and soldiered on regardless. But in the end, the paths of the two men did indeed cross, as the ‘main man’ emerged from the Kremlin complex one evening in his nuclear bomb-proof car, accompanied by some serious looking dark-glassed 4x4s, as MB was walking past. Needless to say, the Russian President gave MB a thumbs-up as both men made eye-contact. MB responded in kind with an air high-five. Mr Putin smiled. So did MB. A day or two later, MB found himself not outside the Kremlin walls, but within. Do not ask MB how he manages such magical diplomatic feats, as he is not at liberty to say. Anyway, informing all the Kremlin security staff that he had the personal permission of Mr Putin to photograph at will, MB ran amok with his Canon 7D, and photographed anything that moved. And much that didn’t. Seriously, a visit to the red-walled Kremlin complex is a huge thrill. The area called Cathedral Square from the outside is stunning, and one can also enter the inside of the churches to see the ornate Orthodox-style religious decoration. If ever HX followers wish to travel in the footsteps of MB, just shoot MB a private message, and he will immediately take the permission of Mr Puttin to get you inside. Guaranteed. On the occasion of MBs visit, a class of young military cadets were celebrating their graduation, so many family members and guests were in attendance, as can be seen in some of the below photos. Expect international diplomatic relations to start improving dramatically. Real soon! Commodus: You wrote to me once, listing the four chief virtues: Wisdom, justice, fortitude, and temperance. As I read the list, I knew I had none of them. But I have other virtues, father. Ambition. That can be a virtue when it drives us to excel. Resourcefulness, courage, perhaps not on the battlefield, but… there are many forms of courage. Devotion, to my family and to you. But none of my virtues were on your list. Even then it was as if you didn’t want me for your son. Commodus: I search the faces of the gods… for ways to please you, to make you proud. One kind word, one full hug… where you pressed me to your chest and held me tight. Would have been like the sun on my heart for a thousand years. What is it in me that you hate so much? Commodus: [Commodus hugs Marcus and cries] Father. I would have butchered the whole world… if you would only love me! MB recently traveled to Italy with family. It was his first visit to the country of pasta and pizza, and much more. And it included a two-day visit to the eternal city – Rome. Previously, MB would have selected Istanbul as his Nr 1 city on the planet. But Rome now occupies that position. Rome is described somewhere as the city of a lifetime, as it will take a person a lifetime to understand it all. It is truly an architectural assault on the senses, with some incredible structure around every corner one turns. 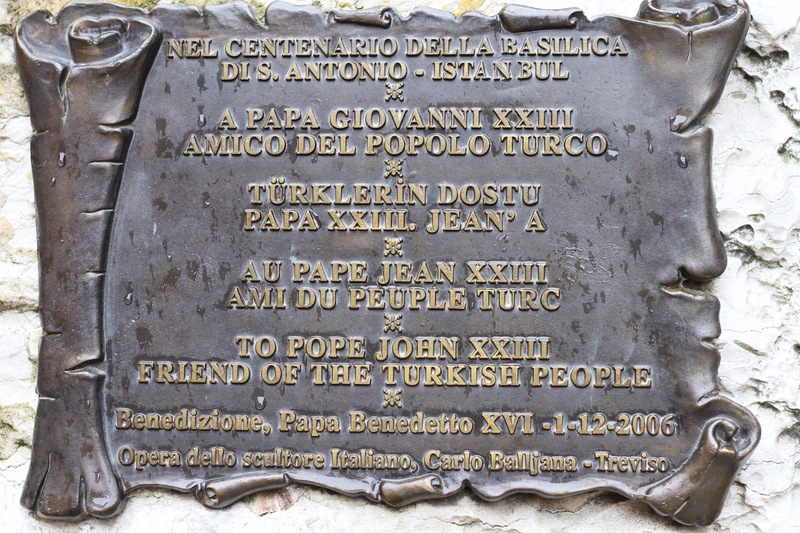 Huge culture and history abound, from pre-Christian to Roman Empire to Christian to modern. And food………… Such food! Ok. So MB wished you all a happy St Patrick’s Day in an earlier post of today. So what the hell what?! No harm wishing you all again, on the day the chosen people celebrate their big day. Ok?! 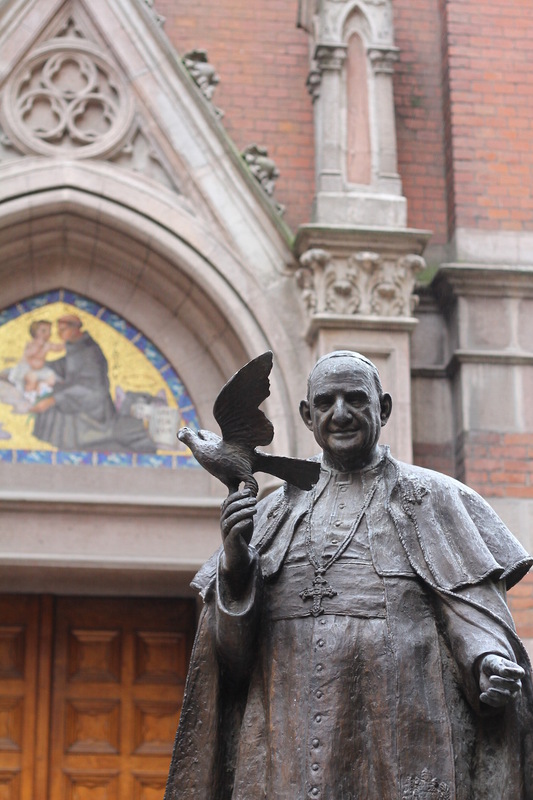 New Church (Teampall Nua – in the Irish Gaelic language). New Church lies on the HX to Lough Gur road and sits on the edge of the lake shore. There is a great view across the lake to Grange House from the church grounds which MB has featured in some photos included in recent posts. The natural beauty of MB’s homeland is always an inspiration every time he’s home to get out the camera and start clicking. 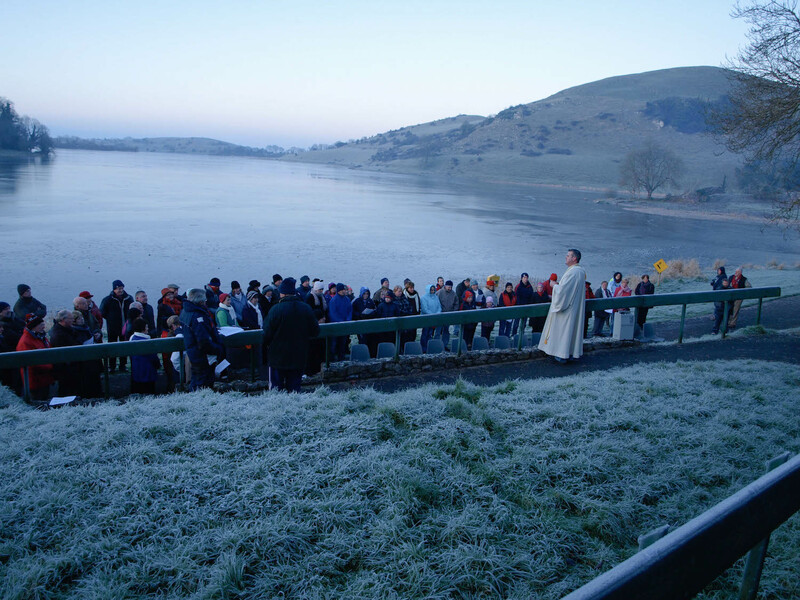 This shot is one of MBs from the New Year’s early morning mass by the frozen Lough Gur lake on 01.01.2010, which was a 10th anniversary celebration of a similar mass held to welcome the new millennium on 01.01.2000. MB attended that one also but alas did not have a camera. The priest inspires the flock on this particular morning with his sermon and all are inspired by the beauty of the surrounding nature. 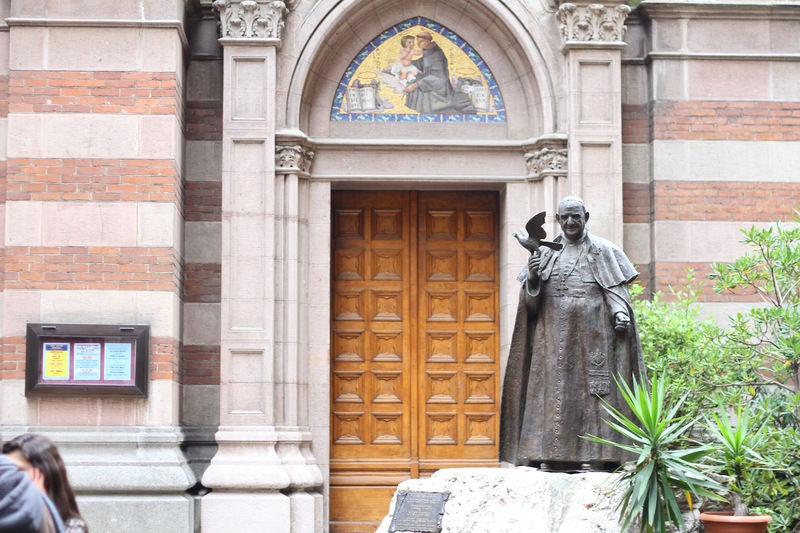 A statue of Pope John XXIII stand outside one of the front entrance doors at St Anthony’s Church, Istanbul.